MIE Seminar Series: "Whole-Body Teleoperation of Humanoid Robots via Bilateral Feedback for Dynamic Physical Interactions"
Despite remarkable progress in robotics, autonomous humanoid robots are still far from matching the sophistication and adaptability of human’s innate motor control intelligence. Humanoid robots with locomotion and manipulation capabilities similar to those of humans would be expendable alternatives for invaluable human workers for firefighting, disaster response, or any hazardous job that requires dynamic physical interactions in addition to surveillance. A possible solution to achieve this performance is to capture human motion and to transfer it to the remote robot in real-time via teleoperation, while providing the operator with physical feedback from the robot’s actions. The challenge lies on how to properly map the information from the operator to robot and back, such that the operator can utilize his/her own motor intelligence to control the robot’s interaction with the environment. Motivated by this vision, this talk presents pilot results where a human operator controls a humanoid robot to perform dynamic interactions with the environment such as striking a wall using a firefighter axe. I present details about the system design, including the human-machine interface for high-speed motion capture and the impact-robust humanoid robot. Additionally, I show how to utilize a powerful reduced model to map the human whole-body motion to the robot, and to compute appropriate feedback forces that are applied to the operator’s body. Finally, I describe the implementation of the strategy on a small-scale agile robot to allow it to balance, jump and walk in synchrony with the operator. I expect that the results from this work will be the basis that allow humanoid robots to achieve motor skills that rival those of their biological counterparts. 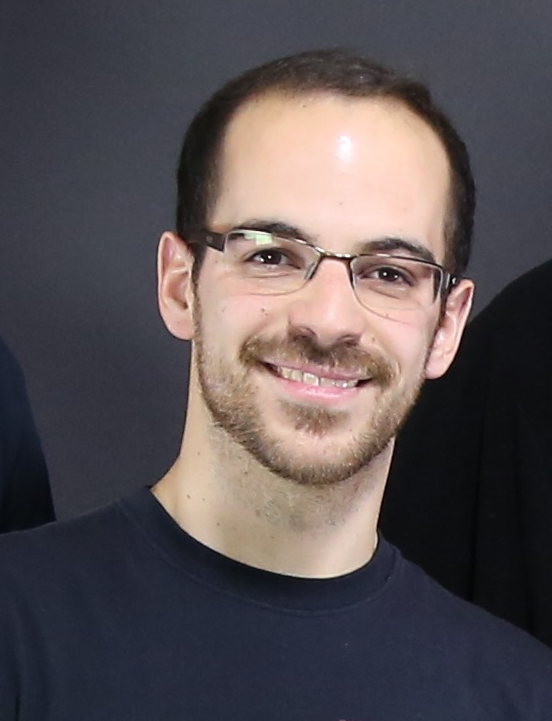 Joao Ramos is a Postdoctoral Associate working at the Biomimetic Robotics Laboratory, at the Massachusetts Institute of Technology. His current work focus on strategies to control the MIT Cheetah robot via teleoperation. He received a PhD from the Department of Mechanical Engineering at MIT in 2018. During his doctoral research, he developed teleoperation systems and strategies to dynamically control a humanoid robot utilizing human whole-body motion via bilateral feedback. His research focus on the design and control of robotic systems that experiences large forces and impacts, such as the MIT HERMES humanoid, a prototype platform for disaster response. Additionally, his research interests include human-machine interfaces, legged locomotion dynamics, and actuation systems.